Spry Publishing LLC, 9781938170003, 280pp. Leighann Calentine's D-Mom Blog is an invaluable resource for parents and caregivers of children with diabetes. Leighann shares her family's experiences with her daughter's type 1 diabetes in a forum that is intimate, informative, and inspirational. 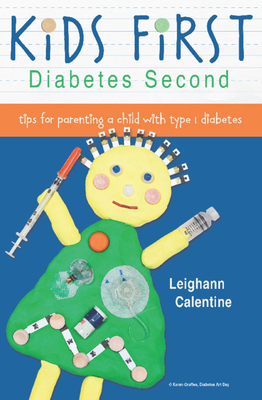 In a style both practical and affirming, Kids First, Diabetes Second presents Leighann's advice to help parents and caregivers enable children with diabetes to thrive. Learn how to automate tasks, navigate challenges, celebrate achievements, establish a support group, relieve stress, and avoid being consumed by management of the condition, while focusing on what's most important: raising a happy, healthy child. Leighann Calentine is a respected health blogger and diabetes advocate, who was recently recognized as one of the 10 most influential people currently within the diabetes online community.